Starter homes get a bad rap sometimes. With the term “starter home” in the property description, first time homebuyers conjure up pictures of houses that need thousands of dollars of work with plenty of man hours and sweat equity in DIY projects ahead. 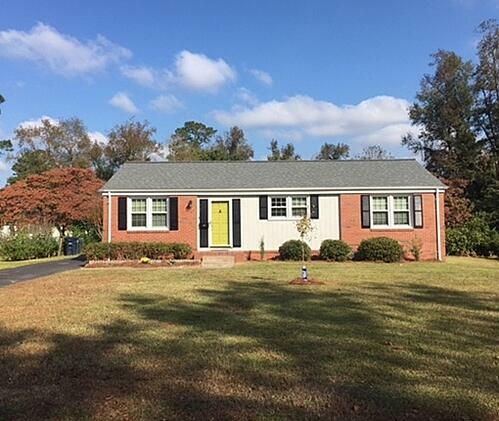 For sure, properties with affordable price tags are going to need a bit of love and attention, but the following homes listed on MilitaryByOwner near Camp Lejeune are full of charm and curb appeal. Best of all, they’re potentially move in ready, which is exactly what buyers demand these days. 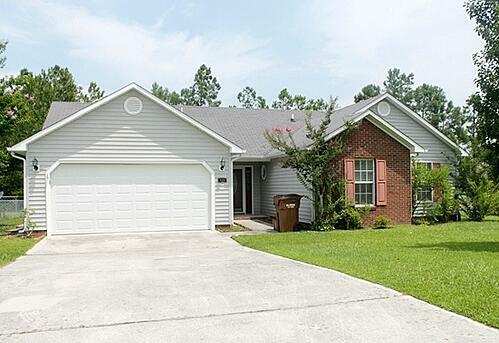 Let’s head down to Jacksonville, North Carolina, and see how reasonably priced and desirable a starter home can be! Although this adorable brick rancher has updated amenities, the original hardwood floors remain in the living room, hallways, and bedrooms. Add a brief commute to Camp Lejeune and this home becomes the best mix of modern and vintage features. For a starter home, the size of this property is amazing! Located in a quiet neighborhood, this half-acre lot is landscaped with mature, shady trees in the back yard, with room to spare for a detached garage and a storage shed. In the front yard, a clear and open space is an easy place to play and lounge in the Carolina breeze. A blank slate is waiting for the next owners to put their signature colors and décor inside. New carpet and neutral paint are quality features that make adding personality easy. Three bedrooms are available to designate as you wish: office, guest room, workout space or craft room are just a few options. Move quickly; a brick home with curb appeal and a ready to go screened back porch is hard to come by at this price point in this tucked away portion of the Northwoods subdivision. Crown molding, chair rail, cathedral ceiling, and a fireplace. These upgrades don’t seem like they’d be showcased in a first time buyer’s home, but this house on Carolina Pines Drive has each of these desirable features inside. There are three bedrooms and two baths, but the open concept living is the main draw for buyers. The stately foyer and wide open living and dining spaces make this home perfect for hosting events of all sorts. Play dates, sports viewing parties, and family dinners will all be a natural fit. If the party needs extra space, head out back because the deck can accommodate many more people who want to enjoy the view of the spacious yard. 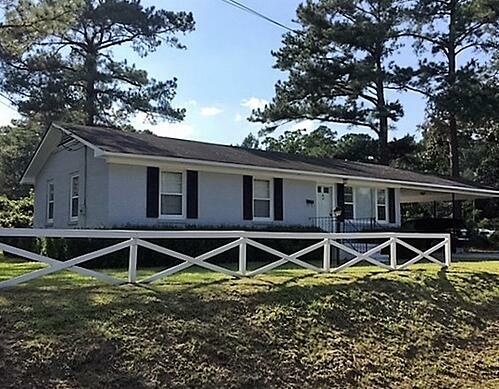 A prime location near Piney Green gate, beaches, and local restaurants is the last detail that makes this home a more than attractive option near Camp Lejeune. For the first time home buyer who doesn’t want to sacrifice curb appeal for price, this is your house. Classic lines and a friendly front porch are waiting for the buyer who especially appreciates aesthetics. 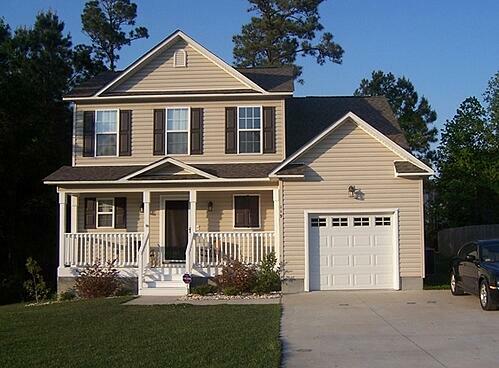 In back, a well maintained deck and lawn are ideal for entertaining throughout the enviable North Carolina seasons. Inside, a spacious, but certainly not overwhelming, foyer is the optimal entry to the open concept floor plan ahead. Warm wood laminate flooring flows from the foyer to the eat-in kitchen where beautiful cabinets become a focal point. The master suite is an affordable luxury with cathedral ceilings, walk in closets, garden tub, and his and her sinks. For the couple who desires easy access to shopping, restaurants, and entertainment, Riverbirch Place is a prime choice. Later, if a child is in the plan, the house will more than accommodate a new addition to the family. All four options in Jacksonville are way beyond typical standards for starter homes and will appeal to not only first time buyers but those seeking a quality property at a smart price point. 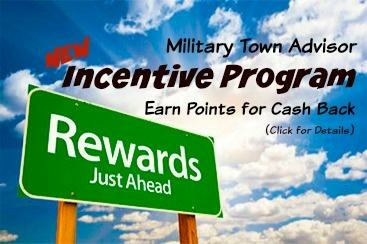 Camp Lejeune is a popular military destination, so research MilitaryByOwner for even more options priced lower and higher than those listed above.